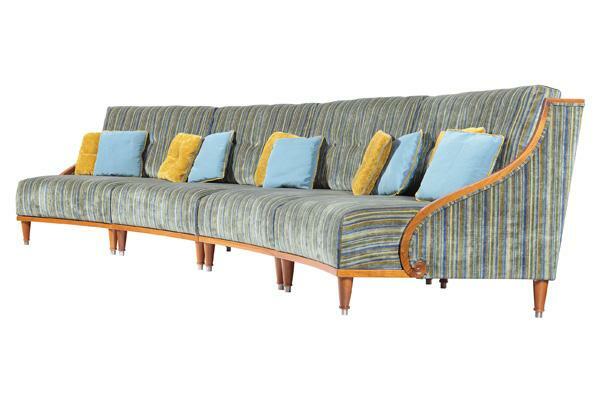 High Comfort 8-seat Sofa. Frame made from common beech wood. Double welt. Handcarved rosette. 16 twisted feet with a black silver cap with deliberate redarkening process. Decorated back board. Cambered armrest. Can be disassembled into four parts. Removable back padding, filling material: Romboflex.